A broken down train between Exeter St Davids and Barnstaple has blocked all lines. National Rail say there will be no trains to or from the station until at least 10.30am this morning. Buses will replace trains here until the train has been removed. The train is thought to have broken down just before 7am on Thursday morning. Passengers face more disruption from next week because of tunnel upgrades and track replacement works. The closure of the Whiteball Tunnel near Tiverton Parkway – which will last from Monday February 18, to Friday March 8 – will sever the rail mainline into Devon and Cornwall, forcing passengers to catch a bus between Taunton and Exeter. The closure of one of the two tunnels at Marley, near Totnes (which also will last from Monday February 18, to Friday March 8) – will be less disruptive, but will result in reduced services – and the replacement of trains with buses for one day only. The other works will also be less disruptive, and confined to single days or weekends. 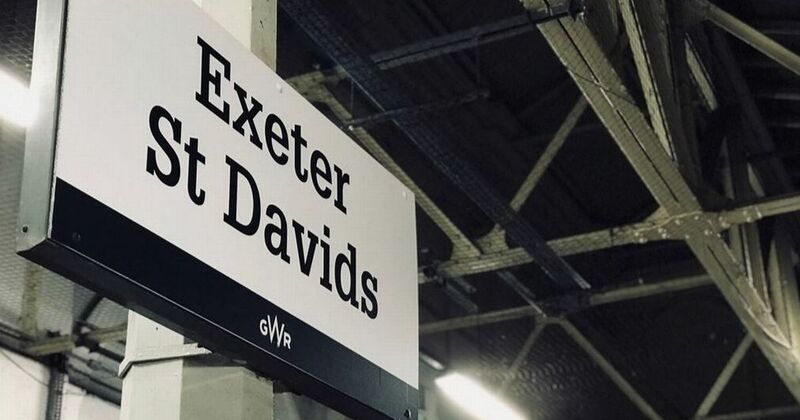 CrossCountry’s website says : “A revised train service will be in operation between Exeter St Davids, Dawlish, Teignmouth, Newton Abbot, Totnes and Plymouth. This morning, GWR announced on Twitter that: “Upgrade works are taking place in Devon & Cornwall between 18 February and 8 March.